We are now Dacor Certified appliance repair company! Top Home Appliance Repair is now Dacor Certified appliance repair company! We repair all models of Dacor appliances. That includes refrigerator repair, washer repair, dryer repair, dishwasher repair, stove and range repair, oven repair, steam oven repair, microwave repair, freezer repair, ice maker repair, barbecue repair, and much more. We know exactly how to do the job right. As new technology progresses we make sure our technicians take the latest courses and repair certified. That means that we will be able to find the right parts and install them properly in your Dacor kitchen appliance. Our team does Dacor installations, repair, and maintenance. Just give us a call to get the best service possible. And don’t forget to check our 15% off labor Household appliance repair discount. With this as well as with our FREE service call with repair as well as FREE, accurate estimate you can be sure to get the best deal from the top Dacor Certified appliance repair company. Customer satisfaction guaranteed. We will be more than happy to help you with any of your Dacor Certified appliance repairs. For professional appliance repair in Oakland and East Bay, please call us at 925-265-7782. For professional appliance repair in Novato and the rest of Marin County, please call us 628-214-0064. Or you can fill out our short contact form. We would love to talk to you and answer all of your questions. Our service area includes Contra Costa County, Alameda County, and Santa Clara County. Local Home Repairman: Can You Avoid Their High Charges? 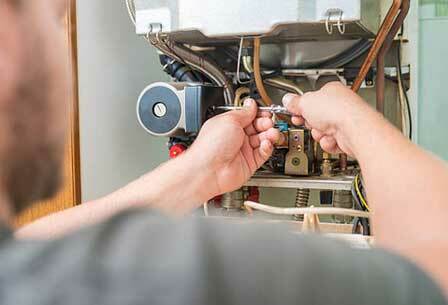 Appliance repair costs can sometimes be a nightmare to household owners. They can get so expensive that the idea of hiring local appliance repair man makes them think twice before doing so. To avoid the expensive charges, people sometimes shy away from hiring a professional and prefer to do the job themselves to save on costs. Unfortunately, not all of us have the skills to do the job. So, in the attempt to avoid the expensive charges, we try to do repairs ourselves. The results are often not as good as what we would expect. After all the modern appliances are often very complex and involve complicated technology. So instead of avoiding the costs, we ended up spending more. Now, it certainly would help if you are skillful or technicians because that means you can have the initiative to undertake some appliance repairs. But even the most experienced skilled person cannot claim that they can handle all technical appliance repair jobs. They can be expert in two, three, or more home improvement expertise, it is impossible however to find one that is a specialist in all things. So, if you think the job does not fit your skillful hands, it is always a good idea to trust it to the right, qualified local repairman. Having a professional help can help you save on costs provided you know how to find one. Keeping your house in good standard condition is essential to most of us. But it is unavoidable that one broken fixture after another occurs, and it seems never to end, especially if the house has already seen better days. And the more depressing idea is the costs continue to drain our budget. But as was said, it is inevitable. So, are there are any ways to save? What can you do to avoid the high costs and still get quality repair jobs, one that does not require you to call another repairman after only a relatively brief of time because the old problem resurfaced, much to your dismay? When an appliance repair is necessary, there are their options that you can do. First, you can call an appliance repair man and ask him to do the job, call an estate agent to sell the house as quickly as possible, and lastly, take care of the job on your own. The last option was already discussed above, so we focus on the second. It can be a good option, but the hassles of everything, from finding an agent to taking care of the transactions, and more importantly, finding a new house ñ a new home that will eventually pose the same appliance repair problems in the future. On the other hand, the first can still be the best option in many cases. While you cannot avoid appliance repair s, there are ways to save on their costs. First, always make sure you have a tiny savings fund in which you can use should any trouble surfaces. Second, train the household members to become a small specialist tradesman so they can help. Third, be vigilant always of small home problems and should they happen never let them go more serious. At the first sign, have them fixed, if you are not adept, by a qualified local appliance repair man. And, finally, find an experienced and reliable repair company that will charge reasonable bills and quality jobs at the same time. And yes, you can avoid the high costs if remember these things. Most of us have a very tight budget and replacing major appliances in our home when they get damaged is a big deal. But just because your fridge, dishwasher, microwave, or any home appliance is not working well doesn’t mean it needs replacement. Most of the time, it just needs to be serviced by a local appliance repair company. Finding a reliable appliance repair technician is a very practical move. A qualified technician can rapidly and affordably bring your appliances to life. While it seems so easy for some well-off families to replace their household appliances when they break, having them checked and repaired by an expert is not just a cheaper alternative but oftentimes more efficient as well. Almost all the appliances in your house can be repaired; although the cost of each repair varies. The technician’s hourly rate or the amount you have to pay for him usually depends on the extent of the damage, the technician’s experience and expertise, and other factors. Among the appliances that are less costly to repair than to replace are dryers, freezers, refrigerators, washers, stoves, and built-in ovens. Most technicians also service laundry and kitchen appliances, microwaves, ranges, hoods, and disposals. Some of the appliance repairmen are experienced in servicing wide virtually of the household appliance. Those technicians are the right person to contact if you need someone to repair your freezer, microwave, or any other home appliance. Very few of the technicians are even factory trained and certified. Those people are especially good because they learned from the manufacturer of your particular appliance. An appliance repair company that has been in business for many years is more qualified. That kind of companies has been proven again and again to be reliable. Also, usually they employ better technicians and have more experience dealing with customers. Affiliation in a professional appliance repair company. Appliance repair jobs usually need to be done by a professional. While some appliance problems seem way easy to fix, the task will look harder when you start to disassemble the parts of the appliance. So it pays a lot to get someone from a professional appliance company particularly if the problem is a potentially hazardous electrical wiring. One way to determine if a repairman is reliable is to see his reviews on Yelp or Google. From those reviews, you can easily see if his previous customers were happy with his service and if they plan to use his services again in the future. 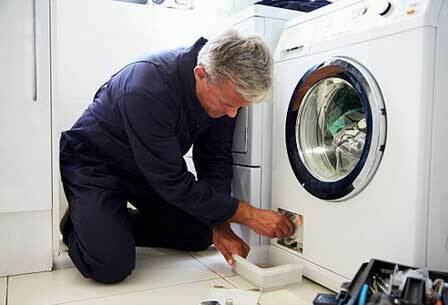 Hire only the appliance repairman who has a clean record of completing his repair jobs. Again you can your repair man for reviews from his previous clients. Or look him up on Better Buesses Buro. If you have damaged appliances in your home, the most practical solution to get those things back in tip top shape is to hire a skilled and dependable local home repairman. You just need to apply effective techniques in gathering information, and you’ll be able to find a truly effective repairman every time the need arises. With the number of appliances you have in your home, time will come that you will be in dire need of a local home repairman. You just can’t ignore the threatening noise coming from your dishwasher, refrigerator or washer that needs tune-ups. So before your appliance become irreparable, better hire a professional who can bring it back to its good working condition. However, finding and hiring a professional appliance repairman is sometimes hard to do. There are some factors you need to consider so it could be easier for you to navigate the appliance repair industry. First, you need to decide whether to fixing a damaged appliance and simply purchasing a new unit. Most of the time, when major appliances in our home break, our initial response is to purchase a new one. But with our tight budget these days, we just can’t afford to replace major household appliances every time they fail to work well. Hence, it is advisable just to fix your existing appliance as it can save you a considerable amount of money. The second consideration is you aren’t aware of the important details of your appliances. This makes you dependent on professionals whenever there’s a need to replace some of its parts. You will also rely on what the technician says has to be done on the appliance. Another thing to put into consideration is the challenge of finding the right technician for the repair job required by your appliance. 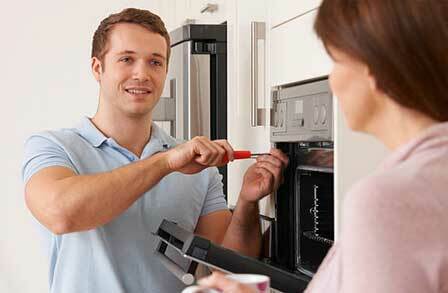 It is great if you can find a repairman that covers different brands and types of appliance. Here are some of the things you can do to find a professional appliance repairman. When looking for a handyman, your neighbors and friends are your best sources of recommendations. Sure enough, someone in your neighborhood or in your group of friends has already utilized the service of an appliance repairman. You can ask him about his experience with the repair professional. Contact several professional appliance repair companies. Spend some time to call several companies and inquire about your appliance problem. This way, you’ll find out the right market price for the repair job your appliance needs. Of course this doesn’t mean you must choose the one with the cheapest service. Instead, go for the company you are comfortable with and the one that makes you feel that they can get the repair job done well. Find out if the company has insurance. Before closing a deal with a company, read their contract carefully and make sure it is states that the company is insured. Know if the labor and replacement parts come with guarantees. Put this into writing and keep it in file. Bear in mind that an inexpensive repair job isn’t really inexpensive if it fails to bring the appliance back into its tiptop shape. Ask for a written statement of work performed. This is also very important so it must be put into writing and filed away. These are just some of the tips that will help you in finding an experienced and licensed technician that’s qualified for the repair job. While it can be time-consuming, it pays a lot to do a little research first to avoid spending a fortune even for a minor repair. Remember, a skilled local home repairman can just be around the corner. You just need to spend a few minutes of your time looking for him. Do You Hire A Local Home Repairman Right Away If Home Repair Is Needed? It is inevitable that after years, you are going to require a local home maintenance specialist to tend for your home appliances. Your refrigerator, stove and range, washing machine or a barbecue all sooner or later will need repairs or mainance. When your major home appliances break what do you do? Do you dispose and replace it automatically? Often the problem is very extensive, and the repairman you hired says it is beyond repair. In that case, you have no other choice but to purchase a new unit. When you use an appliance repair professional such as Top Home Appliance Repair, you can be sure that they will diagnose the problem correctly, find the right parts for you and most importantly install those parts properly. Therefore, it is always a good idea to find a good, reputable company to do the repair job for you. It will save you both time and money, and in the long run, a professional company will be able to do the much better job for you. What is the time frame that the company will be able to send the repairman? This is specially required if the item that needs to be fixed will be potentially dangerous or will cause disruptions or accidents in the household if not fixed right away. What is included in the total bill that you will be charged after the service? Some companies require trip charges, call-out fees, services charges, fees for replacement parts, and of course, the labor fees to be included in the bills. Now, if you are concerned about the quality of the job that the repairman renders, ask the company how long they have been in the industry and whether an insurance and warranty are applicable or not. Insurance and warranty are important part of the whole deal as they only show the company is reputable and trustworthy. You might need to research the company first. For example, refer to Yelp, the internet, local agencies, and even from friends and relatives. It will always help if these concerns are addressed well before having a service technician start on your job. With the right research, you can always find an excellent appliance repair professional who will do a great job for you.